Board Members - We need new Board Members for our fire department. Interested people must live within one of our covered districts and be registered to vote in Logan County. We are seeking someone that can commit to attending our monthly meetings, as well as regular duties. Training will be provided. Our meetings are held at 7pm on the second Monday of the month at the fire station. For more information, please Contact Us. Firefighters - We are always taking applications for additional firefighters, especially applicants that can cover day-shifts. If you are interested, please complete the application below. Once submitted, we will contact you within 7 days to schedule an interview. We are a volunteer-based fire department, so a big part of our operating funds come from personal and corporate donations. 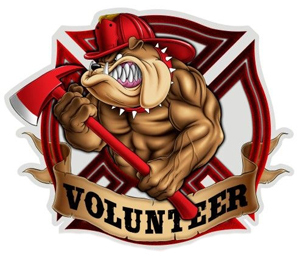 Donations are used 100% for new equipment, vehicles, operating funds, and other costs directly involved with running our volunteer fire department. We are a 501(c)3 non-profit organization, so all donations are tax-deductible. 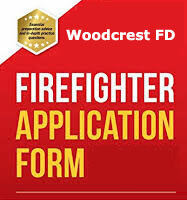 If you are interested in making a donation, please send it to the Woodcrest Fire Department at the address listed on our Contact Us page. We also need non-monetary donations, such as bottles of water. If you would like to make any kind of product donation, please call us to arrange a drop off day and time.